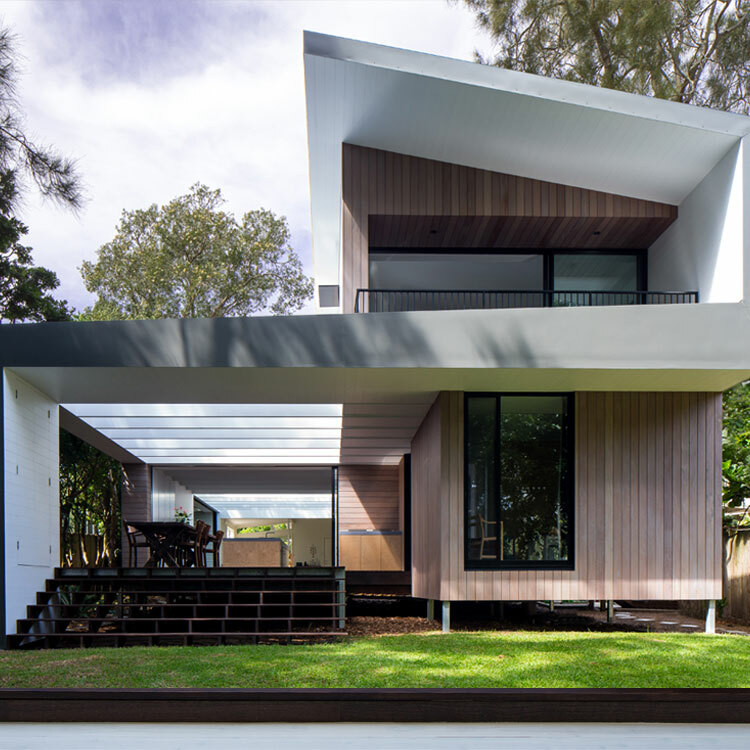 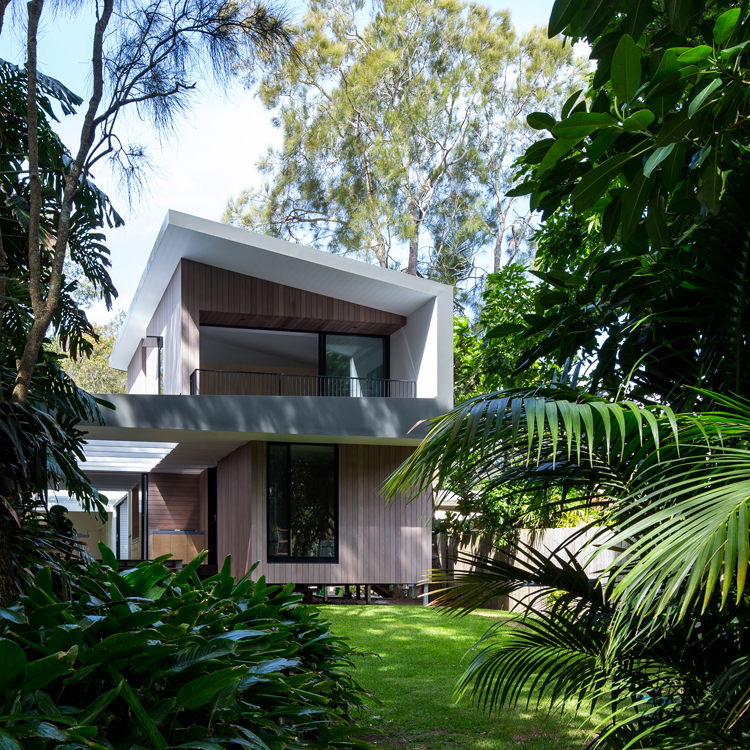 A contemporary reconfiguration of Sydney beachside property uses local timber cladding to match the existing structure and blend into the natural bushland setting. 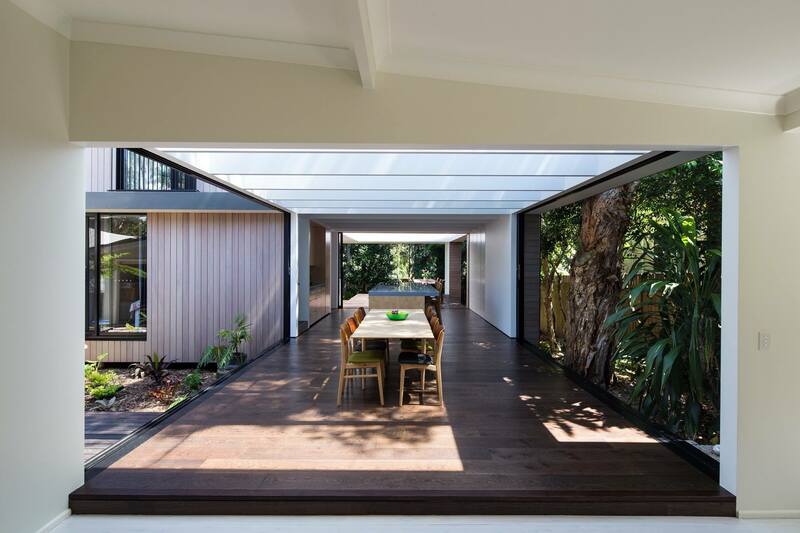 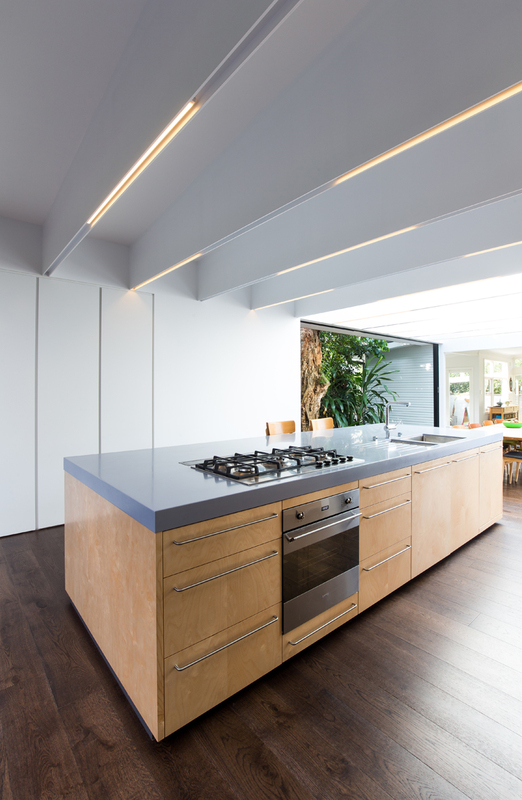 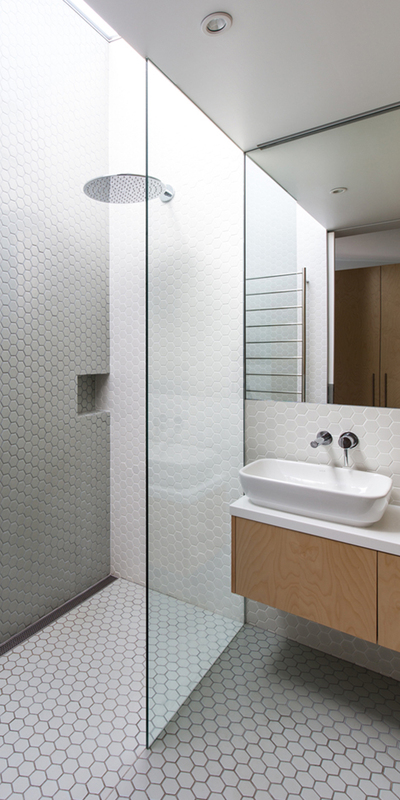 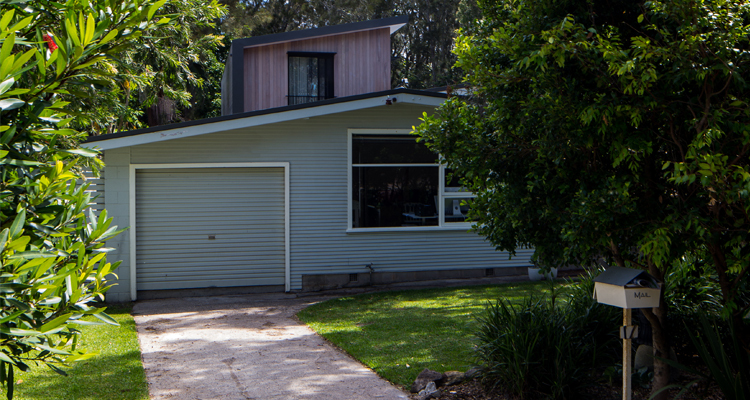 The original single storey home is dramatically enlarged with a new 24m-long raised floor, aiming out towards the lush greenery to the rear of the property. 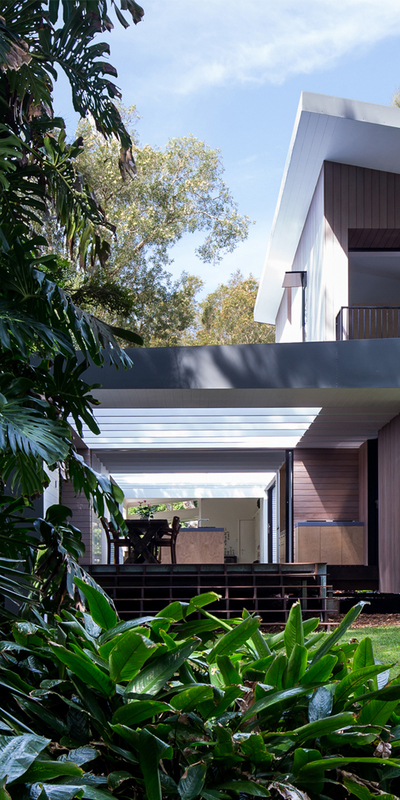 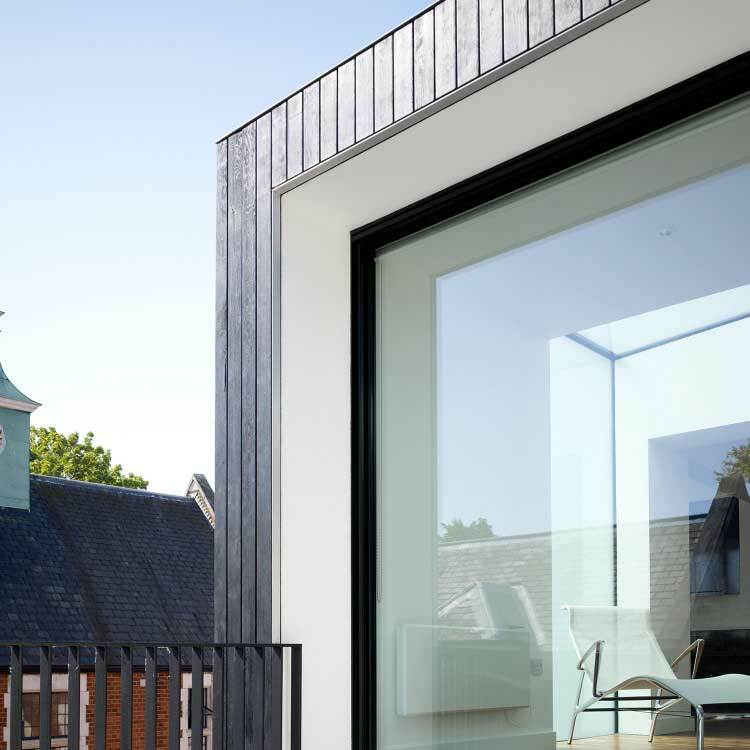 The rooms inside the house have now been rearranged into a linear sequence along the new axis, with living and dining spaces leading on to an external deck. 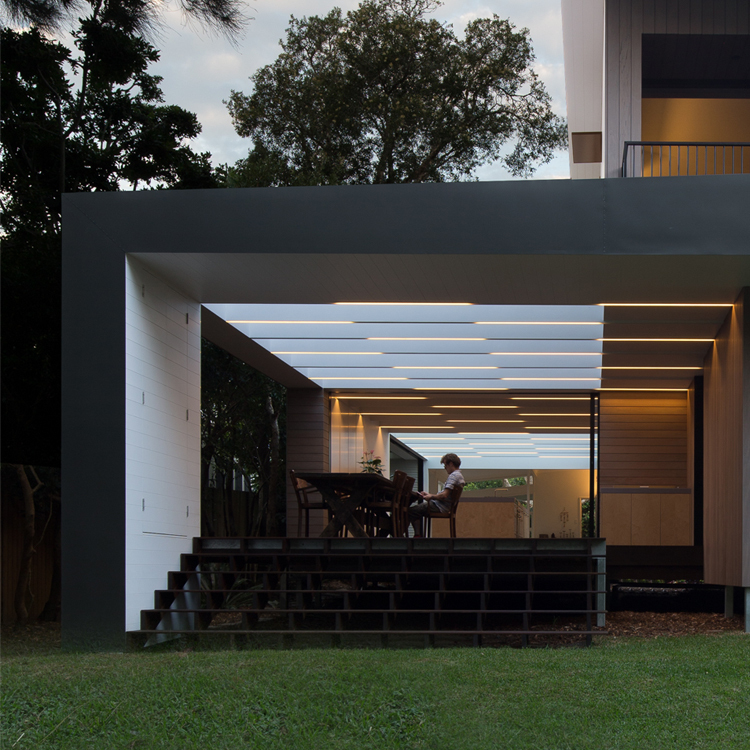 Floor-to-ceiling glass panels slide back and turn inside spaces into outside spaces to form a home that embraces the majestic setting.